Available for the Android, iPhone, iPad and Kindle Fire. All of our lessons, lesson notes, progress tracking and premium tools are available on your smartphone or mobile device. Want to switch from the app to your computer and continue where you left off? You can! Our system is fully integrated! Free Lifetime Accounts, Basic, Premium and Premium PLUS. Download the App, choose Turkish from the “Choose Your Language” screen and log in to TurkishClass101. 34 Languages In Total: Want to try another language? 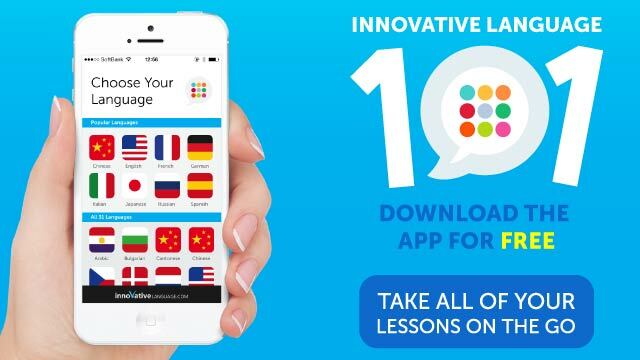 This App carries all 34 of our Innovative Language Courses from AfrikaansPod101 to VietnamesePod101. Finally all my lessons at the flick of a screen. Downloaded this 10 minutes ago and I’m sold. This just might inspire me to continue renewing my Premium subscription. Finally!! I have been waiting for innovative to actually release something like this forever!! So far looks like pretty much what I had hoped for, a convenient way to interface with the web content on a smartphone. And track progress more easily. Love the way this app keeps track of what I have learned and also allows me to download lessons for when I’m not near wifi. Excellent instructors and the material is well planned and executed. Thanks.